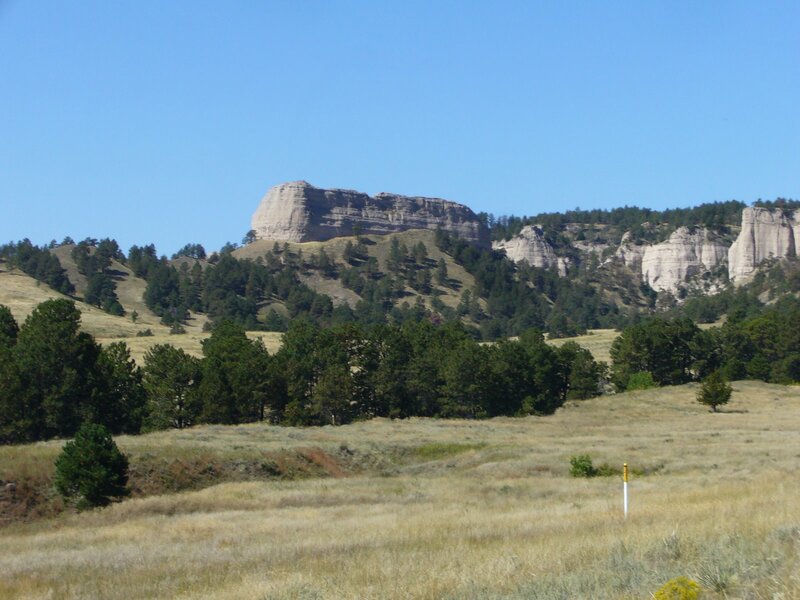 Having explored the Pine Ridge of northwestern Nebraska and the Black Hills of South Dakota, it was time to turn my attention to the vast central Nebraska Sand Hills. 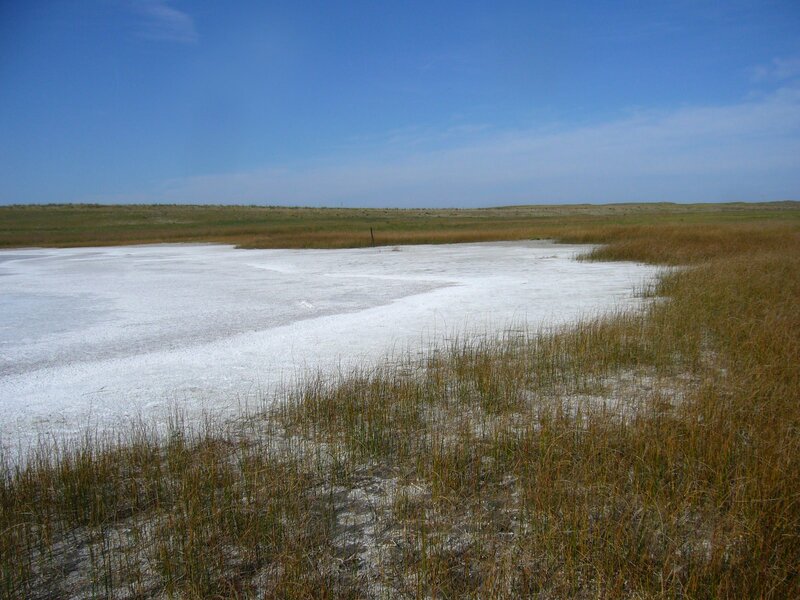 My original plan was to leave the Pine Ridge area early in the morning and arrive at the western edge of the Sand Hills during late morning. This would provide plenty of time during the rest of the day to explore several western Sand Hills localities before traveling east the following day to look at some eastern Sand Hills sites. It is, however, the nature of these trips that plans change – sometimes on a whim – and such was the case Thursday morning. As I approached the left turn onto Hwy 385 that would take me down to Alliance, I made a impulsive decision to take another shot at finding the elusive Cicindela lengi (blowout tiger beetle). Recall that I battled rain and cool temps in my first attempt, and although I came away with several larvae of what I hope turn out to be this species (assuming I am successful in rearing them to adulthood), they also could represent one of the more common species. I questioned the wisdom of this move during the entire 40 minutes it took to drive to the spot – completely in the opposite direction of where I had planned to go that morning, but something in my gut told me to do it anyway. If I succeeded, the lost time and resulting need to adjust my plans would be worth it. I won’t delay the suspense – it was one of the best decisions I’ve made on this trip. I found two adults, and had I not known to expect this species at the site, I might have easily mistaken them for the much more common C. formosa (big sand tiger beetle). The two species resemble each other greatly in color and markings, but the subtle differences are unmistakeable once you’ve seen them in the field. I didn’t dare risk attempting a field photo – they were just too active, but I do have one of the specimens alive and will take photos of it later in confinement. Success would not end there – shortly after finding the first C. lengi, I saw an individual of the very uncommon C. nebraskana – another new locality for the species! Matt Brust will be very pleased to add yet another data point for the distribution of this species in Nebraska. Finally, as if to add an exclamation point on the success of this diversion, I found another specimen of Megacyllene comanchei (provisional ID – see previous post) – another locality for this new state record. As with the other five specimens seen on this trip, it too was found crawling on the barren ground rather than on goldenrod flowers as is typical of most other species of Megacyllene. Quite a successful detour it turned out to be. Success has its price, and the time spent on this diversion meant that something would have to give. By the time I got back to Chadron it was already past noon, which meant I would not make it to the Sand Hills until mid-afternoon. My primary target for the Sand Hills was the gorgeous C. limbata (sandy tiger beetle), which lives on barren sand dunes and blowouts. My delayed arrival left only a few hours to explore these habitats – with no sign of C. limbata, but I did find a few more C. fulgida along the margin of a small alkaline lake that Matt had told me about. Rather than move on to the eastern Sand Hills the following day as originally planned, I decided to stay on the western side for another day – my last full day of collecting. It was another good move – with a full day to explore, I found several sites in the morning with C. fulgida, and in the afternoon I finally found the coveted C. limbata. I only saw one adult out and about, but that was enough to convince me to spend some time there. As I’ve noted before, sand-inhabiting tigers start digging by midday, so I started looking for suspected burrows and digging after them. Most of what I dug up at first were the common C. formosa (big sand tiger beetle), but after a bit I was able to discriminate between the burrows of that species and those of C. limbata. After a couple hours of work, I had a grand total of seven vivid white/iridescent green individuals to show for my effort! Again, I didn’t even attempt a field photograph – they were very active once dug up, so one individual is being kept alive for photographs later in confinement. This day would also end with a nice exclamation point – another C. lengi! My lesson in field discrimination of this species versus C. formosa payed off, as I instantly recognized it for what it was. I’ve now made it to the eastern edge of the Sand Hills, where tomorrow morning I’ll be looking for a red population of C. limbata before finishing off the trip with (hopefully) finding C. denverensis (green claybank tiger beetle) in the clay soils just to the south of where the Sand Hills end. If successful, I will have succeeded in finding a total of twelve tiger beetle species on the trip (38% of the known Nebraska/South Dakota combined fauna). The extra time spent in the Pine Ridge area means I will have to skip the last two localities in northwest Missouri, but the success I had in Nebraska does much to ease the disappointment. With a 10-hour drive confronting me after I finish my collecting tomorrow, I suspect this will be the last of my trip updates. I’ll provide a wrap up and some more photos after I return home, but in the meantime enjoy this video of C. formosa digging in for a midday siesta. This entry was posted in Cerambycidae, Cicindelidae, Coleoptera and tagged beetles, behavior, entomology, insects, landscapes, longhorned beetles, nature, Nebraska, science, tiger beetles. Bookmark the permalink. Congrats on the lengi. I think that I mentioned seeing it once before, in Colorado. It was this past June. In one location, it was much more abundant than you described here. I must have seen a couple dozen at least. But I only saw it in one particular spot. I did post a photo to BugGuide, but I’m not thrilled with it. Can’t wait to see your pics of it and some of the others that you’ve found. Hey Ted, I enjoyed the posts immensely. It sounds like persistence paid off once again. For me it’s not the beetles, which I don’t know, but the hunt, which I certainly understand (for herps and other taxa). And what a landscape. 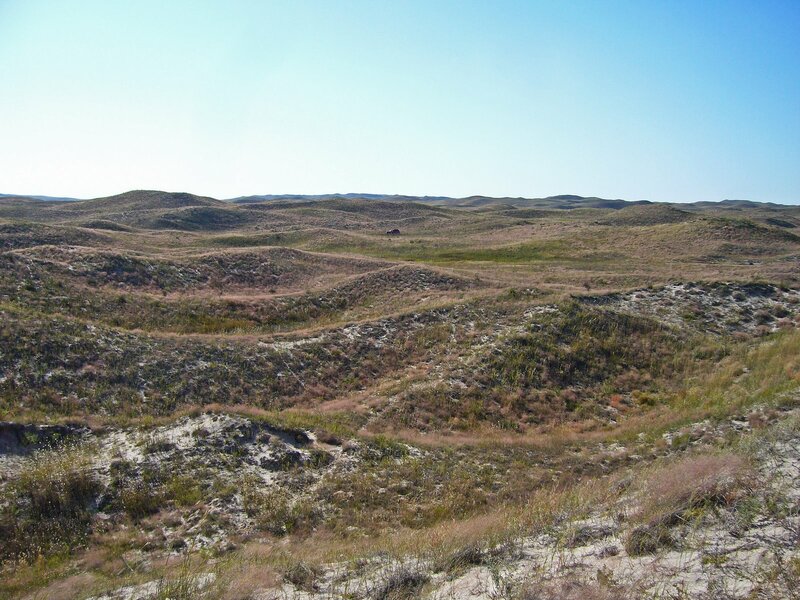 I recently Google-Earthed the sand hills area of Nebraska. What a startling place, and in the center of this continent. I wonder how come I/we don’t know about it? I appreciate the ground view image. membracid – thanks, sometimes watching what they do in the field is more fun than just finding them in the first place.